Shawn, Skyler and I met up this morning at my place and decided to set up where we have been seeing some gobblers the past few days. We got out there early and found a big cedar in a perfect spot and after a trimming some limbs we were good to go. We knew that the birds weren’t roosting too close, but it wasn’t long before Shawn spotted some hens coming around the corner. Not far behind them was a big gobbler. He rounded the corner and came running in, but threw his e-brake at about 50 yards and looked around then walked back to the hens strutting. 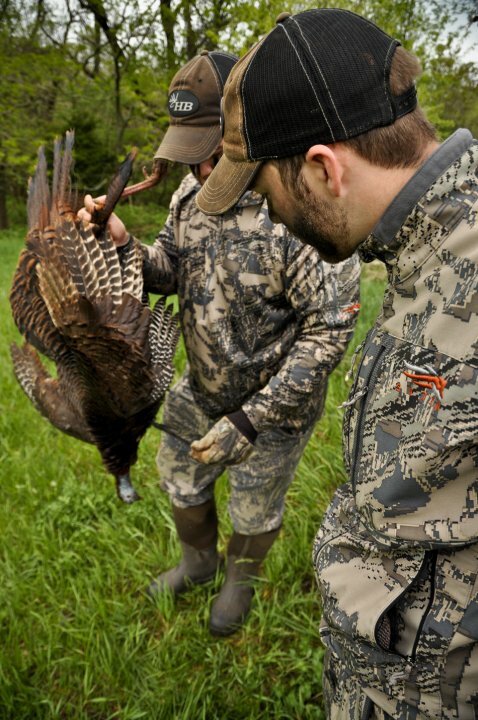 About that time a bearded hen turned the corner and all the hens came right into the decoys. 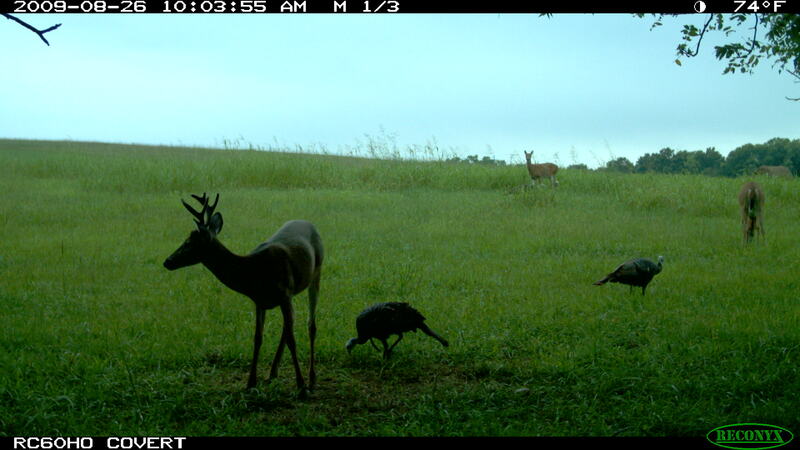 The gobbler was starting to budge and head toward us when the hens decided they wanted to join back up with him. Shawn gave me the green light to shoot the bearded lady and the rest is history! None of us had ever shot a bearded hen before and the cool part is I have some trail cam pictures of her from last summer! Only the 3rd bearded hen I have ever seen. Pretty cool that you got a trail cam pic of her! Haha the ole bearded babe was pretty fun to watch this morning. Definitely a unique animal to take. Congrats! 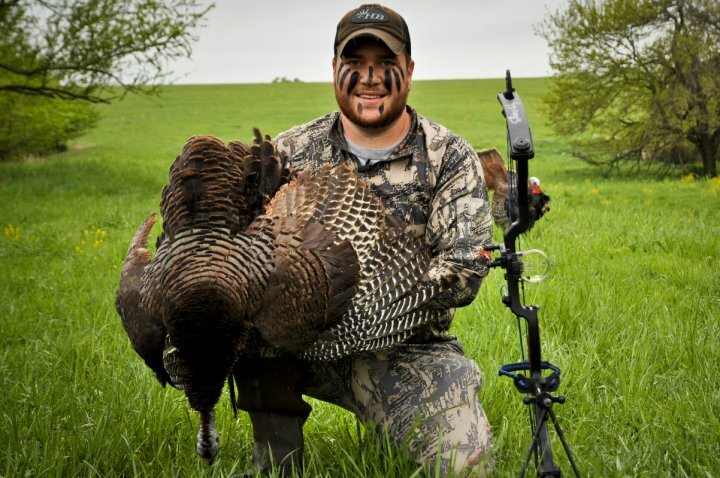 I don’t forget any of my hunts, but my first bearded hen was one that definitely stands out for it’s originality. Congrats on the bearded lady Mike – I thought you only got to see those things at the traveling carnivals!! We actually got our first bearded hen on film Saturday too. 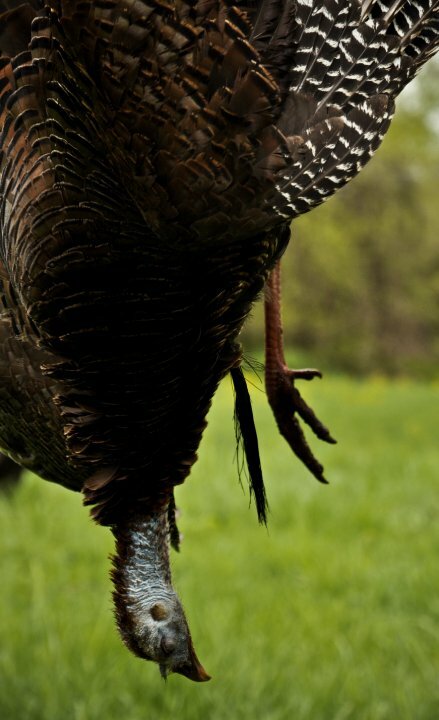 She had a good 6″ beard hanging off of her, but unfortunately the boss gobbler kept her pretty close and wouldn’t let her stray into our setup. But there’s always next weekend! Congrats man. It must be something in the water around here because I have seen 5 or 6 bearded hens in this area over the past 6 or 7 years.